Life has become very unpredictable. It is OK to PAUSE or to postpone your investment decisions temporarily. But it can be very risky if you postpone buying an adequate Life / health insurance cover. Being under-insured or un-insured can be financially very risky. We can see lot of mis-selling happening in insurance industry. So, I am trying my best to create awareness about various aspects of protection planning. If you have an unwanted life insurance policy, it may lead to both ‘wealth erosion’ and also the sum assured may not be adequate for your family to continue the same standard of living (god forbids, if any unforeseen event happens). Third reason is more of a personal one. Let me give more details about the third point with two real life incidents. You need to first protect ‘What you have‘. It can be your Life, Health, Property, Vehicles etc., Plan for sufficient insurance coverage and buy right products to cover the risks associated with all these. Earning Rs 1 Lakh per month and having a life insurance cover for Rs 1 Lakh (Sum assured) is meaningless. Buy a life insurance cover based on your earning potential. Have adequate life insurance if you are the bread-winner of your family and if you have dependents. Buying a Term plan is the best way to get adequate life insurance cover. It is advisable to avoid buying traditional plans like Money-back or Endowment plans. Have adequate life insurance cover if you have financial liabilities (home loan etc) & financial commitments (obligations). Do not treat insurance as an expenditure or as an investment. It is your responsibility. Buy independent Health insurance cover. Get your family too covered with a health insurance policy. Your employer might provide group Mediclaim till you retire. But, remember, it can be very difficult to get adequate health insurance cover as you grow older or during your retirement stage. Other insurance covers like ‘home insurance’ or critical illness insurance are also important based on your profile. For example – If you are a Retiree and receive income from house property only, it is very much essential to have your property covered with Home Insurance. Most of us spend more time to plan investments but very less time on insurance planning. Some people are even superstitious about taking any type of insurance. They consider it as bad omen (bad shagun). It is better to change that perception. If you have understood the importance of insurance especially about life and health insurance, request you to educate / convince people around you to take right insurance plan. It can be your friend, maid, car driver, relative…also educate them about how to claim when an unforeseen event happens. We are mortal. If death is certain, can insurance be optional? If life is unpredictable, insurance can’t be optional. Very true words.. Thank-you Sir. It is always so easy to neglect insurance needs which should be a top priority. This article is great. It is a real eye opener on importance on Insurance. Every citizen should be educated on having Health Insurance. Thank you. Dear Sreekanth, this article is an real eye opener on Insurance requirement of bread winner. please specify what is the amount of insurance a person (sole bread winner) should have? what are the criterias for that? General thumb rule – a life cover of at least 10 to 15 times of ones Gross annual salary. The required Life cover should be able to replace the present value of future income of the bread winner + Financial liabilities (loans) + Financial commitments (goals) minus any existing life insurance cover. Term insurance Vs traditional life insurance policies. Why investing in a traditional life insurance plan is a terrible investment option? THANKS A LOT SREEKANTH. I HAVE BECOME A FAN OF RELAKHS.COM. SO ATTACHED TO IT NOWADAYS. YOU EXPLAIN FINANCIAL MATTERS SO EASY TO UNDERSTAND. THANKS AGAIN AND DO KEEP UP THIS GOOD WORK OF COMMUNITY AWARENESS BLOG. Thank you dear Raj for your kind words. Keep visiting and kindly share the articles with your friends. Really Appreciate all the hard work you are putting in to educate people and help them take various financial decisions. I didn’t have any Insurance till today apart from what my Employer s providing. I though, that is more than enough. But based on your article, I understood the importance of Insurance and am planning to go for a Term Insurance policy. Apart from Term, what other policies do you suggest as I am the sole bread winner of my family and I am 24 years old(Single). Kindly read : Best term insurance plans. Consider buying a Personal Accident insurance plan (self) and health cover (health cover for self & dependents). List of articles on key aspects of Personal Financial Planning. in your view how many type of insurance (i.e. term, health, wealth, child etc) a 30yrs age person should opt for??? It depends on the profile of the person. (income, dependents, health, marital status etc.,). Health & Personal accident covers are a must. Your article on Life Insurance endowment plan is excellent and cleared my misconception on this. I have a LIC “Jeevan Chaya” policy, Rs 25535/ yearly premium, SA 4 Lakhs plus bonus, for which I have premium for 18 years continuously. I took the policy in 2006 and have paid the premium for 11th years regularly. I need to pay another 7 years ( total 1.78 Lakh) to keep the policy alive and to get all endowment benefits. Request advice whether I should continue with the policy for next 7 years or surrender. I heard that I may end up with losses as LIC will not even pay me back the amount which I paid as premium? I understood that there is hardly around 6% appreciation as bonus that I can expect ( that too without considering inflation). Your point on ‘inflation adjusted returns’ is valid and that is what I have been truing to convey to all my blog readers. Real rate of return is what matters the most when ‘returns’ are expected from an investment. You may make LIC Jeevan Chaya PAID-UP. This option can be more beneficial. Kindly buy a Term plan (if you do not have one) and then make this policy a PAID-UP one. How to get rid off unwanted life insurance policy? Thanks Sree for your guidance. Its really fruitful. May I request you to kindly let me know the paid up value that LIC will pay me back. Any estimate please? My concern is that I do not wish to be loose my hard earned money that I paid ( Rs 2.80 Lakhs) to LIC so far. I am 46 years old. Kindly go through the suggested links. I have provided the formula for a PAID-UP policy. Please guid me to Planning for Insurance & Investment . I am 25 year old civil Engineer . just before four month got married . presently my Monthly Income in 35000 and my wife income is 15000 she is Pharmacist . after one month we are going to shift in Ahmadabad where we have to start all from zero. 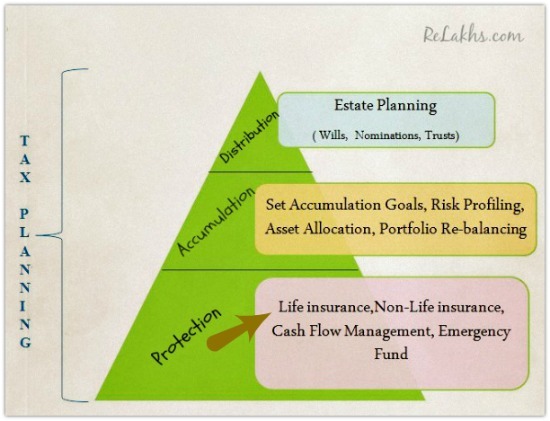 Please guide me which type of Life insurance , Heath insurance and investment i have to do. 2) Open PPF account 10 day before . Suggest you to kindly go through this article and revert to me : List of Articles on Personal Financial Planning. Great insight. I had no idea that there are so many details, but after going through the article i feel that i know something. My dad advised me to buy TATA AIA Life’s money back Insurance plan, It gives you the flexibility to choose from various term options to meet your financial commitments with the advantage of paying for only half the term. After much debate I invested in insurance and now realize its true value. Its true that we need to be prepared and plan in advance for us as well as for our dependence. Insurance is a must to secure our future. It is also a shocking fact that India has a protection gap of 92%. May I know your objective for buying TATA money back insurance plan? Do you have any other life insurance policies in your name? May I know if you have dependents and/or financial obligations? If one is young, but does not have dependants, nor plans to, is there much sense in life insurance? Dear Trisha..No not required. But can consider taking Personal accident insurance policy & health insurance policy. Best Personal Accident Insurance policy. I was really late to find out this site. had answers to all my doubts regarding life insurance. Dear sreejith..Thank you and keep visiting. Kindly share the articles with your friends too. What is the important quality of insurance that people normally forget? Why has the true meaning of insurance been diluted? Majority of us are forgetting that insurance is for Protection (to cover risks), instead it is now more remembered or treated as an INVESTMENT / SAVINGS option, which I believe is wrong. Prospective policyholders want RETURNS on their insurance investments (don’t like to say it as an investment) & most of the intermediaries also try to sell (mis-sell) traditional plans to meet the demands of their prospects and also they do get higher commissions. Term insurance (life-insurance) is the purest and cheapest forms of insurance. Why is there a need for health insurance when the government has already implemented plans that reduce the need for insurance e.g affordable healthcare? How do you redefine insurance? To make people ho are new to insurance seem more interested in it? Dear Germaine..Kindly let me know about which Govt are you referring to ? Hi Sreekanth, I’m currently doing a speech on why we should be protected by insurance. Do you have a few interesting or shocking example? Thanks for the fast replies. Dear Germaine..The incidents mentioned in the above article are real-life incidents, you may consider them. 1 LIC Policy new bima gold (T.no 179) lock period of 20 years started in March/2007 Rs.4k p.a. 1 LIC Policy jeevan anand (T. no 149) payment term 20 (policy term 72) started in March/2009 Rs.27k p.a. Most of the policies were bought by my father and i still continue paying them. i have a 4 yr old kid and not sure if the above investments are good for me? and even not sure if the qualify my insurance coverage. please suggest what is right for me and i am not a high risk taker. in addition to the above question, would also like to get your view on what options should i select on investment perspective and if possible, how to save tax. 1 – Any specific goal for starting a 5 year RD? Read : Why one should avoid investing in FDs/RDs for long-term? Jeevan Anand : Surrender or Paid up. You can buy a Term plan with adequate life cover and then discontinue the above plans. How to get rid off unwanted or bad life insurance policies? Term insurance Vs Conventional life insurance plans. Also, buy a stand-alone personal accident insurance cover. Read : Best Personal Accident Insurance plans. Do you & your family have adequate medical insurance coverage? Best Family floater health insurance plans. Thanks for replying so fast, really appreciate your dedication in educating us. kudos, and keep up the good work. 1 – Any specific goal for starting a 5 year RD? Nothing specific in mind at point of time, just wanted to invest for my kid, as soon as he was born. 2 – As per your advise, i will convert my existing LIC policies as PAID-UP. I and my family are enrolled under my companies insurance policy, which provides coverage up to 4L. is it enough? Also, suggest me best investment avenues and tax saving tips since i now fall in 30% bracket. I’m not too sound on investment and moreover in managing my fund, any help around this will greatly help and benefit me and my family. 1 – You may reduce the RD amount. Suggest you to keep RD/FD for a amount which is around 6 times of your monthly living expenses. This you can treat as your ’emergency fund’. 2 – But buy a term plan and then covert them. 3 – Kindly buy a health cover from outside. 4 – If your section 80c is not yet full, suggest you to invest in ELSS funds for long term goals. Best ELSS Tax saving funds. Kindly go through all the links that I have provided in my previous comment. I have a general query, which may also help other visitors too. Will the nominee get death benefits in any type of death event either it is a natural, accident, critical ill, or suicide? Dear Pradeep..Yes, natural death (or) death due to accident or illness are covered. ‘Suicide clause ‘ is based on the policy wordings. Generally, if death is by suicide, it will not be covered for the first 2 years. Excellent article, I really appreciate your work. I have been trying to explain people about advantage of having term plan over traditional lic plans, other financial planning g basics which you have mentioned in other articles. I have also provided your blog link to them. Most of them are adamant and not ready to accept that traditional insurance plans are waste. They are ready to pay Car/bike insurance without expecting any returns but not Term plan which covers your life. People start asking about returns from term plans forgetting it fulfils the required insurance cover. I know it is tough to educate and convince everyone about term insurance plans. But appreciate that you are trying your best. Kindly spread awareness and keep doing! As motor insurance (third party liability) is mandatory, we got to buy it. If it is not mandatory as per law then I am sure many of us will ignore taking it too.. I believe that INSURANCE can not make anyone rich at the same time if you have right plan (term plan) with right amount of insurance, it will ensure that the policyholder’s family do not become poor (in case if any unfortunate event happens). I had opened term insurance with Edelwise tokyo. I have a Jeevan anand policy with LIC and critical illness plan with ICICI. Do I need to provide the LIC & ICICI details to get my term insurance ? What all factors we need to provide smooth transaction of a Term insurance? Did you buy the Term plan? (or) Planning to buy? Good one Sreekanth !!! Appreciate your efforts !!! Observation in friends circle, every one wants to do it, but more options in the market confuses more and not able to narrow it to one. Which one is good ? Which one covers more ?? Which one has claim ratio more ??? Ofcourse, At least people should start think about have atleast some thing is better than nothing !!! People have to start think wisely. Actually, term plans are very easy to understand and easy to buy. Most of the popular term insurance plans are available online at very affordable premium rates. As long as the proposer discloses all the required information in proposal form honestly, it is mostly fine to buy a term plan from any company. I was thinking for quite a long time to go for term,but now I have decided to go immediately . Icici term or Hdfc click 2 protect which is your choice? Dear Prakash..You can choose any one. Do disclose all the required information in the proposal form honestly. You may read my article on HDFC Click 2 Protect Plus review.. But take basic cover and then consider buying a separate Personal Accident Policy. You have raised very valid reasons to buy insurance and appreciate your efforts for stressing more on insurance/risk planning.. Thank you dear Rajesh. Keep visiting! I totally agree with your comments and I sincerely appreciate the way you are trying to educate people like us regarding the importance of having insurance coverage. Shared this blog on my facebook page.